Recent Portuguese Cup finalists and European competitors, Rio Ave cannot be found on the map, at least not as a town or village. The club’s name is linked to the river that flows from way up in the Cabreira mountains, dividing the regions of Porto and Braga before washing out into the wide Atlantic estuary at the age-old seafaring settlement of Vila do Conde. 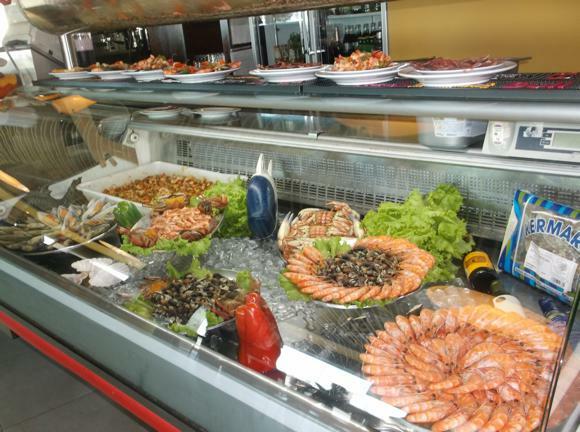 Almost exactly halfway up the coast of northern Portugal between Porto and the border with Spain, Vila do Conde sits alongside the popular resort of Póvoa de Varzim, playing on its history to woo visitors away from the nearby beaches and casinos. Vila’s sailors voyaged with Vasco da Gama during the Age of Discovery while the town is linked to the early Portuguese kings. 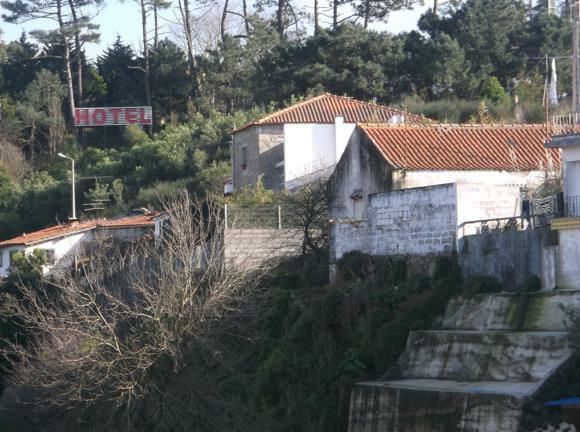 Vila’s setting is almost as dramatic as Porto’s, with riverscape and seafront fringing the city centre. Rio Ave’s ground, the Estádio dos Arcos, is conveniently located beside the modern-day metro station in the Porto transport network. 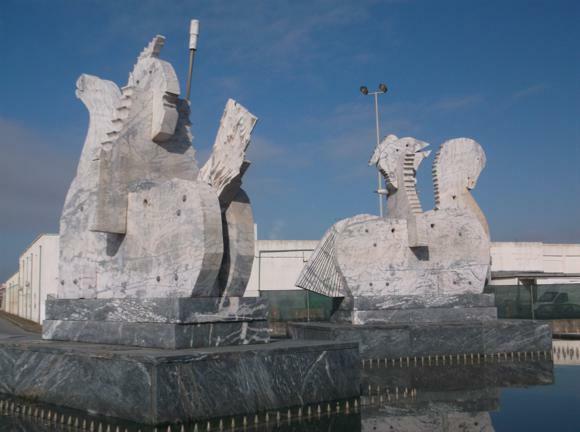 The name refers to the 999 arches of the aqueduct running all the way from Póvoa de Varzim, many in disrepair. A line of pillars stands guard close to the stadium, the only remains of this section of the early 18th-century construction. 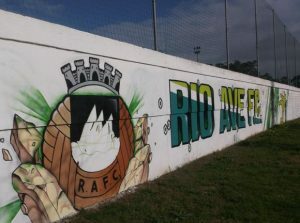 Formed in 1939, Rio Ave first played at the Estádio da Avenida, on Avenida Baltazar do Couto that runs parallel to the seafront. It wasn’t until the 1980s that the club moved out of the Porto regional divisions then into its current home. High-placed finishes in the top flight under Félix Mourinho, father of José, encouraged the building of a new stadium, one that has since staged nearly 20 seasons of visits by Benfica, Porto and Sporting. 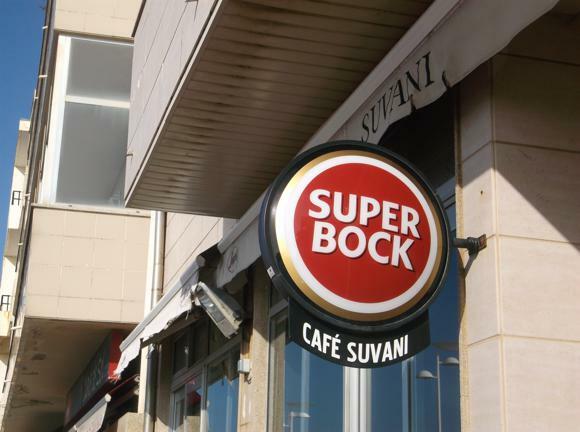 Despite this consistency and recent European campaigns, average crowds of only 3,000-plus underline the loyalty of supporters at nearby Póvoa de Varzim. 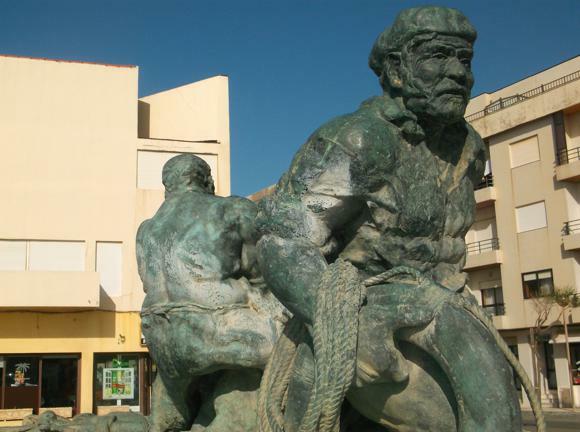 Varzim SC, the Sea Wolves, have been in business since 1915 and until the 1990s were a regular fixture in the Primeira. 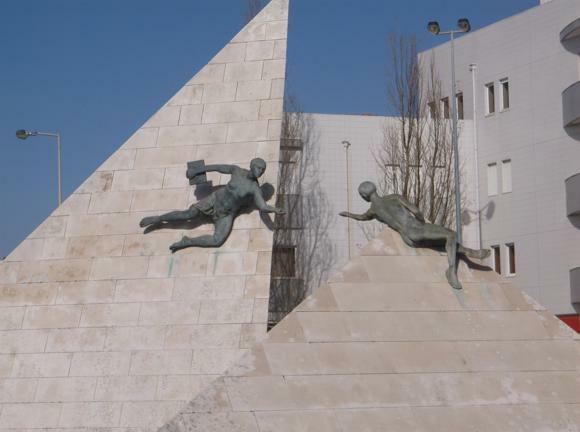 Built in 1929, the Estádio do Varzim SC stands by a white-sand beach surrounded by seafront bars and restaurants. Now a valuable slice of real estate, also served by line B of the Porto metro network, it has been the subject of nearly a decade of speculation while the Lobos do Mar slid down the Portuguese league ladder. Currently Varzim are one of a dozen clubs in the Porto area that make up half of the Segunda. 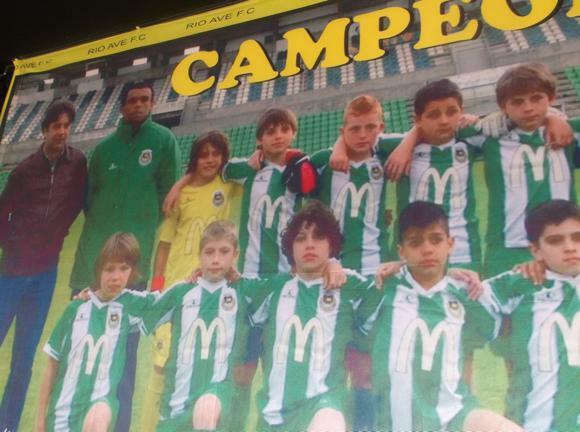 It was the more ambitious, and moneyed, CD Aves who gained promotion in 2017. Porto Airport is 27km (17 miles) from Paços de Ferreira. From the metro terminal at the airport, a half-hourly train on line E runs two stops to Verdes. Change onto red line B, direction Póvoa de Varzim, for Vila do Conde, overall journey time 50min, single ticket €1.55. From Porto city centre, the journey including any changes is 1hr, single ticket €2.75. Trains run every 8-15min, the last one back to Porto is after midnight. The stadium is by Vila do Conde metro station, the town 7-10min walk in the opposite direction, the other side of the N13 motorway that links to Porto. 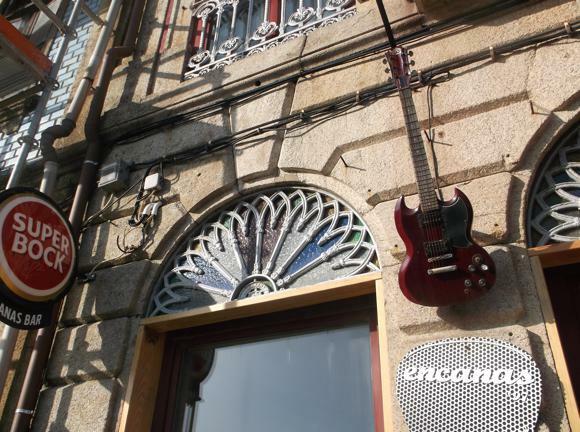 You can also go back one metro stop to Santa Clara, 250 metres from the centre of Vila do Conde. Walking is the best way, in fact the only way, to get around the compact town. 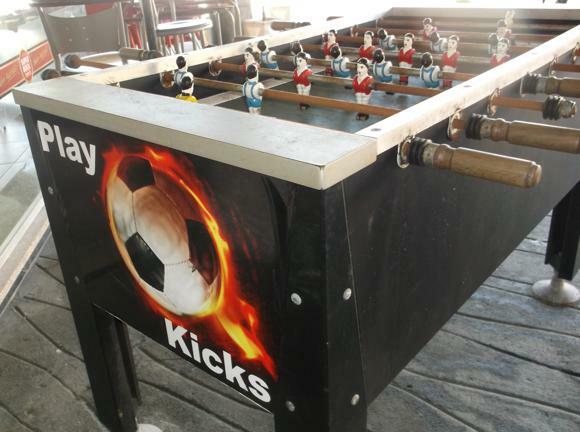 Táxis Vila do Conde E Caxinas (+351 914 981 306) are based on the stadium side of the town centre, on Rua de Abril. 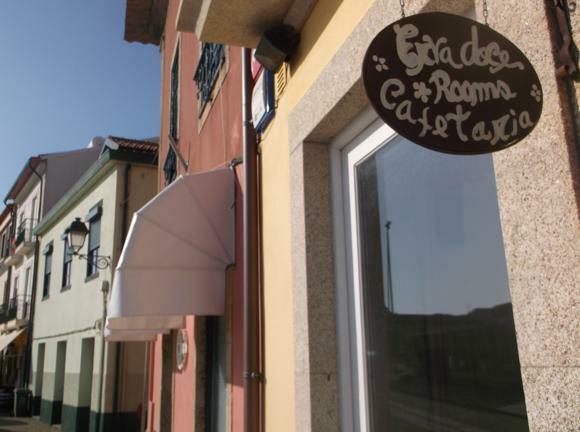 Vila do Conde Town Hall has a basic database of the handful of hotels in and around town. There are no lodgings near the ground but in the town centre nearby. 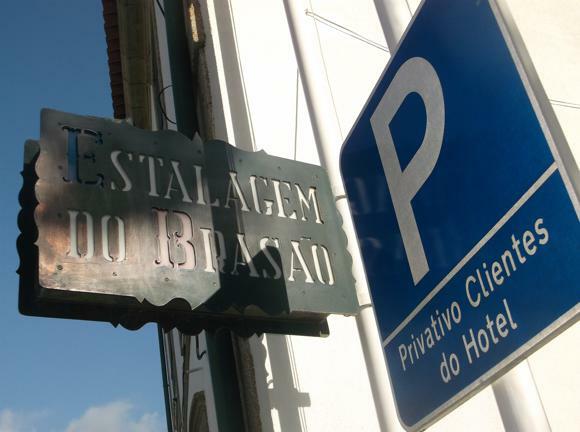 There, the charmingly old-school, three-star Hotel Brazão has 30 rooms and its own restaurant. 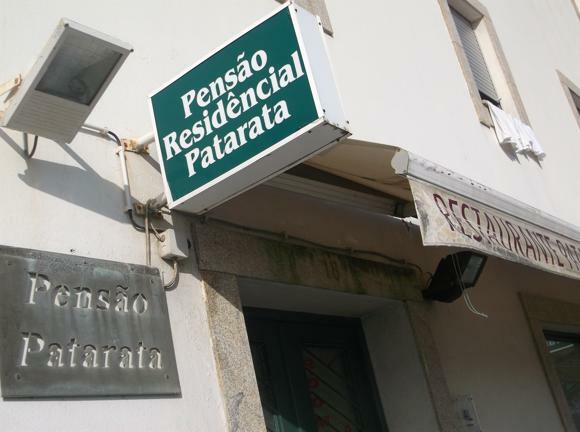 Cheaper, more basic and overlooking the river, the Pensão Patarata (Rua do Cais das Lavandeiras 18, +351 252 631 894) suits the wallet-conscious visitor, close to café-lined Praça da República. 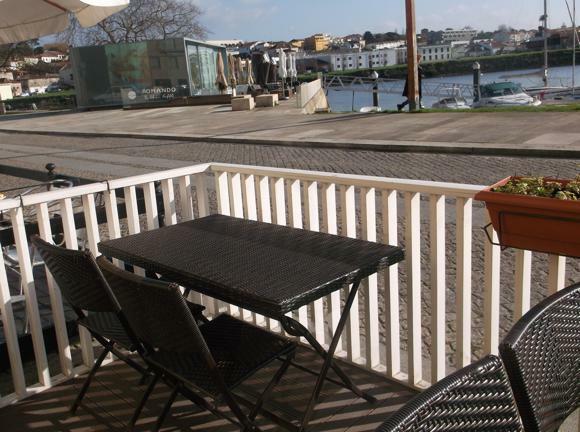 Alongside, the lovely Erva Doce House comprises six tastefully decorated guestrooms and a sun-catching café terrace overlooking the waterfront. All rooms have internet. Breakfast is included in the reasonable rates. Reception runs 8am-8pm. Over the river in Azurara, the Santana Hotel & Spa represents the luxury option, with a heated indoor pool, sauna, gym and top-quality restaurant. Like the pool and many of the 75 rooms, the restaurant has views from this prime spot high over the River Ave. The current online offer of €53/room is a steal considering the four-star service, and there are half- and full-board deals, too. 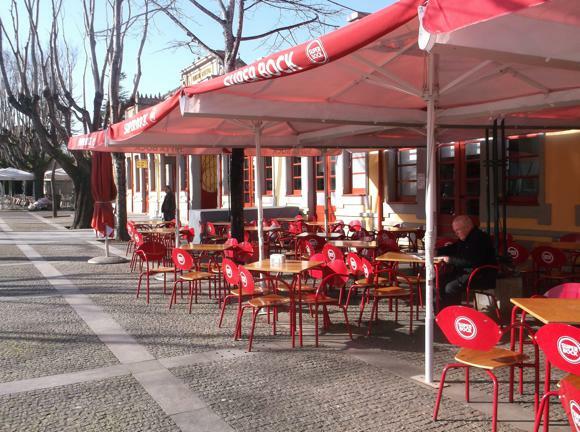 The main square of Praça da República is lined with terrace bars while an Atlantic panorama comes with drinks at venues dotting the seafront. 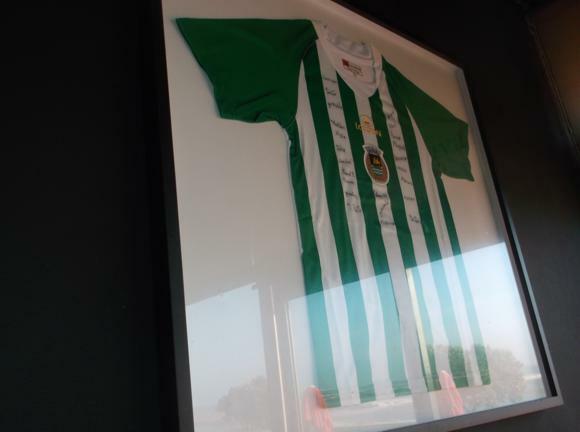 At the prime spot of where waterfront Avenida Infante Dom Henrique meets Avenida Comte Coutinho Lanhoso, Café Suvani is connected to Rio Ave’s youth team, hence the line-ups and autographed shirts on the wall. 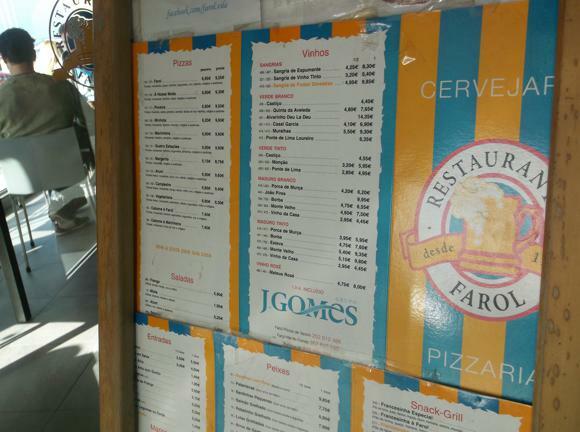 Cheap lunches and enticing cakes are on offer – but a glass of Super Bock and a sea view will satisfy most needs. 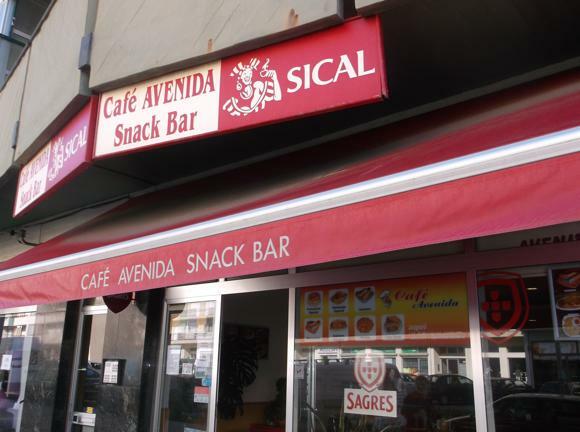 Round the corner, on the main road, Café Avenida (Avda Comte Coutinho Lanhoso 809) is more of an old locals’ hang-out close to where Rio Ave’s old stadium once stood. Alongside, the Fitness Café is nicely done out with black-and-white photos when this was the fishermen’s quarter – there’s also table football outside. 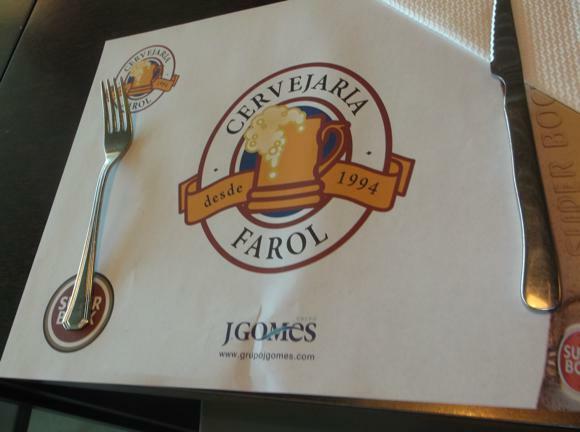 Further down the seafront, prominent seafood restaurant Farol (Avenida do Brasil 992) doubles up as a beer hall and broadcasts matches on a flat-screen TV. Expect a crowd on Sundays. 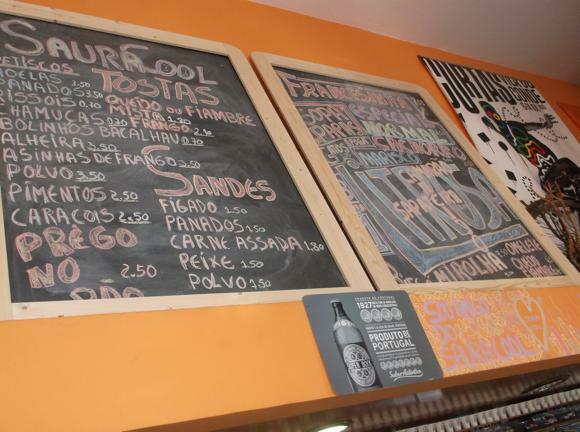 You’ll find regular cafés and restaurants on Praça da República, such as Saura Cool with its big terrace, and rock-centric Encanas 97 with its lively crowd. 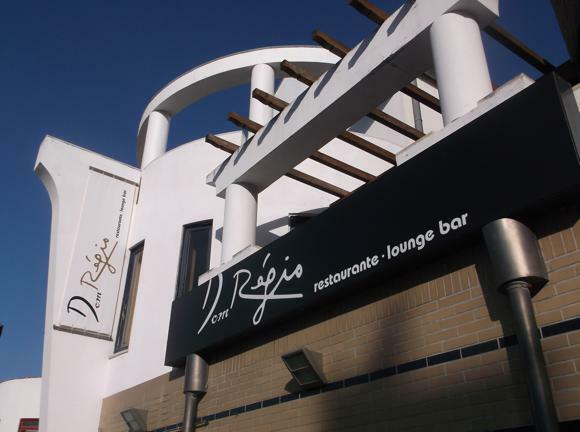 Lounge bars dot nearby Praça José Régio, including Dom Régio and Pure – recently reconfigured as DJ spot Casa da Praça. These tend to run later and attract a more chic clientele.